News 2009. For our current news page, click here. ‘At the Linnean Society of London we are driven by a single purpose as outlined in our first charter, 200 years ago: "The cultivation of the Science of Natural History in all its branches". We are delighted to include Jane Sharp’s excellent and informative walks around Vrahassi in our programme for 2009. Jane has a fund of local information and will take visitors on a superb trip around this stunning and remote area. 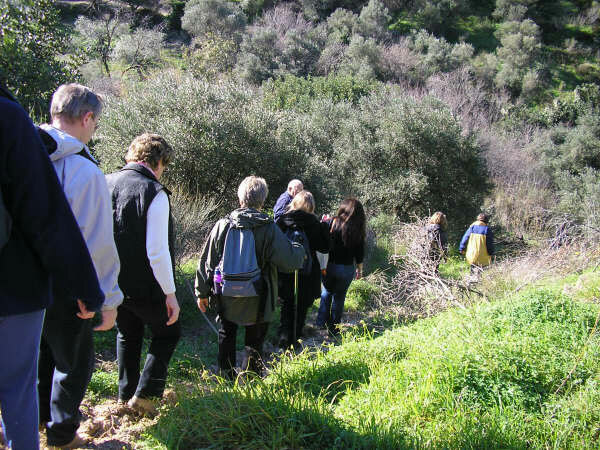 The walk will take in a visit to the new proposed Flowers of Crete nature reserve, where there are many native orchids and other endemic wild flowers.